The Treat Street brand takes it to the max with this orange and black Treat Street Marshmallow Skull Lollipop Display for shelf edge. These are either Free People or Mexican Day of the Dead in style. But either may do for your Holiday festivities. 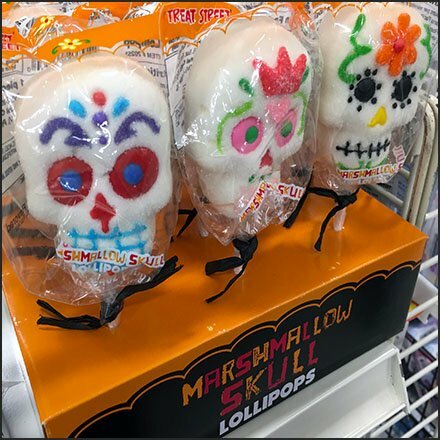 This Treat Street Marshmallow Skull Lollipop Display seen at Staples.